A fairly common request I get is to have a list of my client’s blog contributors in the sidebar. It’s odd this isn’t one of the default WordPress widgets, to be honest! But it’s easy to add with a bit of code. Creating a custom widget requires a few steps. At first glance I thought the Widgets API looked intimidating (so much code for such a tiny thing!) but once you dig in it’s fairly simple. First I’ve got the entire block of code, and then I’ll break it down by section. The first part checks if there’s a stored value for the Widget Title field. Then it creates the form that appears within the widget itself, on the Widgets page. This widget just has one field (the Title) so there’s not a lot to do here. I’ve also added a helpful note to explain which of the User’s names will actually appear when you use this widget to avoid any confusion. This saves what you type into the Widget Title field to the database. As a precaution, it runs it through the strip_tags function to get rid of any stray HTML before storing it. 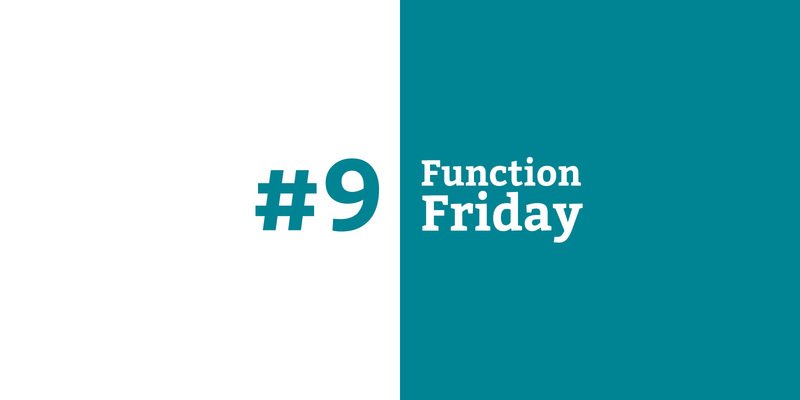 This determines what happens on the front end of your site, once someone adds this widget to a visible widget area. The $title variable will output whatever you entered in the Widget Title field. I’m checking if this field was left blank, and if so, not displaying a title at all. The $before_widget, $after_widget, $before_title and $after_title variables are all determined by your theme, when you set up the widget areas. Then the wp_list_authors function outputs all Users that have public posts. This function automatically links each author’s name to their Author page. It has a handful of arguments, but here I’ve just gone with the defaults. This widget will work regardless of which theme you’re using, so this code should go in a functionality plugin. For more info, see the first post in this series. If you, like me, are a fan of the Advanced Custom Fields plugin, you might be interested to know that one of the Location Rules options is Widget! 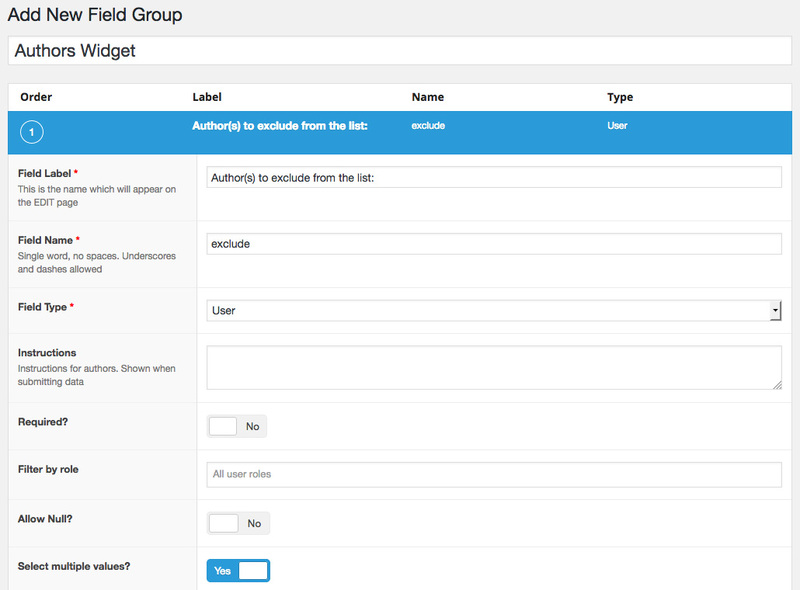 Any fields you add to this field group in ACF will now appear within the Authors Widget, with no extra code required. You can then output the content of those fields in the “Front-end display of widget” section of the code above. For example, you may want to exclude some Users from the Authors widget. Instead of having to find their user IDs and enter those in a text field, you can add a User type field to your new field group and have it appear in the widget. The new field autocompletes from your list of Users. Much easier than typing out user IDs!